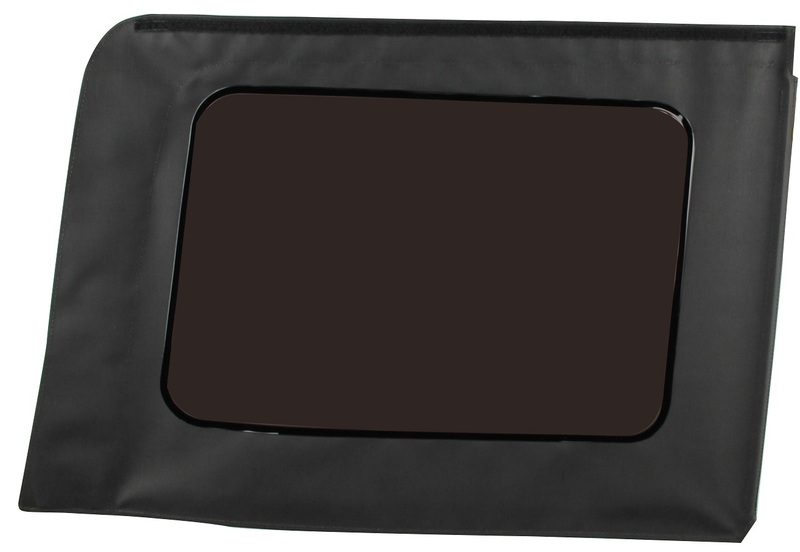 This soft top replacement rear window fits 2010 to 2018 four-door Jeep Wranglers on the passenger side. A tinted rear window helps keep temperatures under control by blocking the sun and improves security by keeping passersby from seeing what's inside. This tinted rear window is a genuine Mopar part from JustforJeeps.com, so you can be sure it will fit like new. Individual replacement soft windows are available from JustforJeeps.com so you can buy just the replacements you need.